Buy affordable baby and kids clothes online in Nepal. When it comes to clothing for kids, parents always wants to give them the best. The online baby and the kids store Baby Shop Nepal offer the parents the best platform to explore a wide range of kids’ products such as baby care products, games and toys, fashionable kids clothing, and many more things. You can shop from our huge range of products which are available at best prices. If you are looking for stylish clothes for your little one, you will get them at Baby Shop Nepal. The unique collection at our store can easily take care of every need for your child. 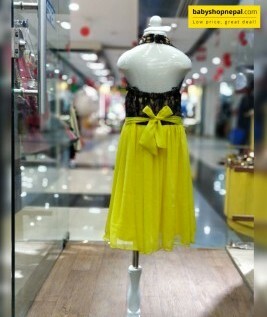 From party dresses to casual wear to designer wear to costume wear, you can get any kind of clothes under one roof. All these stylish clothes are specially designed for special occasions. The wide collection of clothes that you get to see at our store is simply fascinating. Want to brighten up your wardrobe with some cool looking summer apparels? At Baby Shop Nepal we strive to provide good quality clothes for your little one. Let you kid look cool and fresh with our trendy summer collection clothing. You can get clothes that can be a perfect summer hue or add the extra glam factor. You can easily dress up your girl or boy with decorative waistline shorts and a cotton t-shirt. Character costume clothes are hugely popular among the kids. 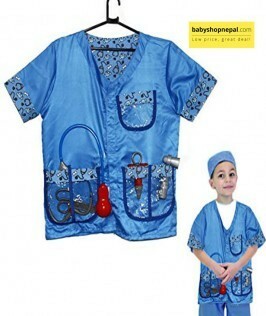 You can shop from our thousands of theme costumes at Baby Shop Nepal. 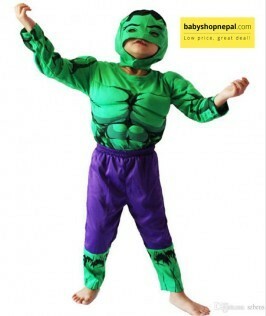 Costume clothes will allow your little one to dress up like their favorite cartoon character. The wide range of costume themed clothes that you will get to see at our store will surely make you think that you should have every one of it. 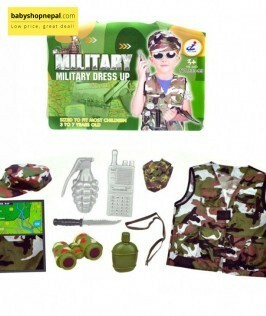 Do you want to buy a fancy dress for your little angel ion her birthday? Your little one obviously deserves the best so try to dress her up with the best clothing. 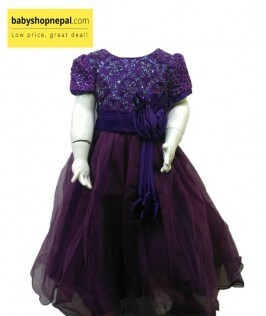 At Baby Shop Nepal, you can get beguiling dresses for girls in various styles like layered dresses or floral net frocks. 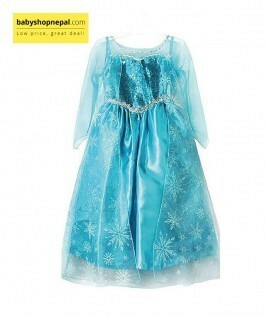 You can give her favorite Elsa Frozen Character dress and see the big smile on her face. 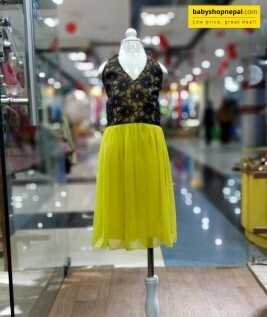 You can also get vibrant colored skirts or tops and many more things. Pamper the little man in your family with stylish and fashionable clothing. 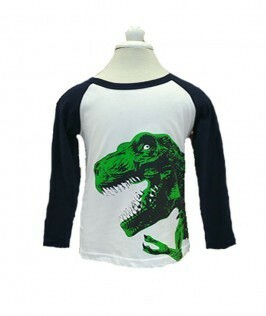 You can easily search from the wide range of clothes for boys from our online store depending on a number of preferences such as types, age, and gender. At Baby Shop Nepal, you will find affordable, comfortable and stylish clothes. From basic boys’ t-shirt to jeans, shirt to pants, and many more things are available here. Now there is no need to drag your child to a retail store down the lane in order to shop for kids winter clothing. With the coming up of online store Baby Shop Nepal, you can now experience hassle free shopping. 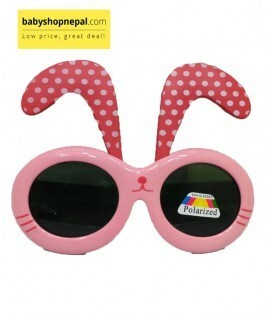 The best thing about the online store is that it provides great shopping experience. One can now shop from the comfort of their home.